Irrfan Khan and Saba Qamar starrer Hindi Medium which was set to release on May 12, has been moved by a week and will now release on May 19. 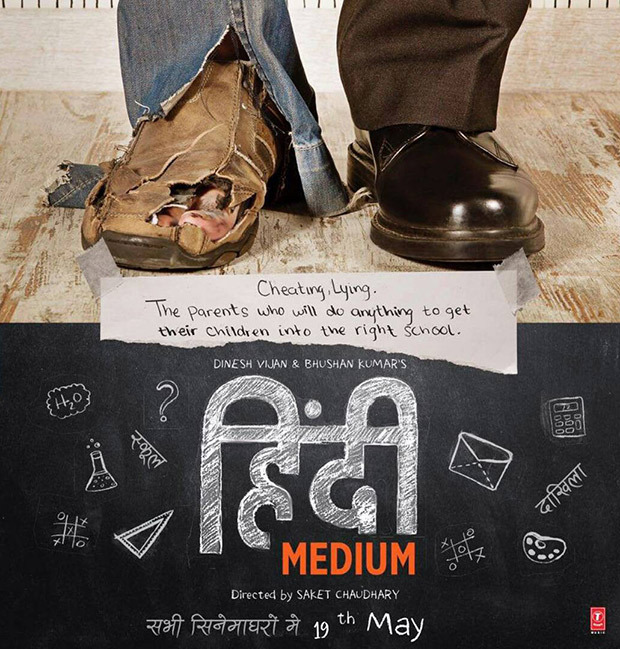 The Makers of Hindi Medium namely producers Dinesh Vijan and Bhushan Kumar are confident the film is a good one so; they want to ensure that the word of the film reaches everyone and gets enough publicity. Dinesh Vijan says, "After watching the film Irrfan and I both felt that we should give it a week more to promote since it has the potential. We are confident about how the film has shaped up and sure that the audience will love it too." Bhushan Kumar says, "The whole team has seen the film and we are very excited about the same. We are very happy and proud of the final product and feel that this film deserves to be promoted more so that it can reach out to more people. I am positive that everybody in the country can relate to it." The topic of the film is something so relatable that the Indian audiences will surely feel like they’re a part of the film. Irrfan and Saba play Raj and Mita who do everything in their power to ensure their daughter receives the best education. Shah Rukh Khan and Kajol in Hindi Medium 2?